17 November 2018, at 8:34a.m. What should I feed my pet? Owners and veterinary surgeons are bombarded with marketing concepts and terms about pet foods, which may be branded as grain free, gluten free, natural, organic, vegetarian, raw, wild, holistic, premium, hypoallergenic, etc. Veterinary surgeons may feel that giving nutrition advice will be perceived as trying to sell pet food and that their nutrition knowledge and training is inadequate. 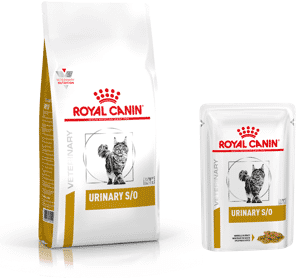 Veterinary surgeons may depend on pet food representatives for nutrition education and the information provided by larger companies is often research based and useful, but it can also be impacted by an emphasis on products they are selling. Some veterinary surgeons aren’t addressing nutrition in consultations, but it is perceived as very important to many of our clients. Feeding is an interaction that owners have with their pet every day and many of them value it highly. Owners vary from those who want veterinary advice to those who are receptive but don’t ask and those who are adamantly against listening to their veterinary surgeon and are convinced their feeding programme is ideal. We live in an era where experts are more often questioned and less relied upon than in past decades. The information or misinformation of other sources such as the internet, breeders or pet store nutrition advisors can be compelling to owners. We also deal with the Dunning–Kruger effect – a cognitive bias in which people with a lack of expertise and knowledge mistakenly assess their cognitive ability and expertise as much greater than it is. However, even when you know that a diet is inadequate and that the owner’s information is incorrect, it is important to treat their feeding decisions respectfully. People are more receptive to new information if they are relaxed and feel they are in a safe environment. It is very difficult to deal with misinformation. There is no simple method for addressing this or we would not be inundated with “alternative facts”. It is not as easy as just providing evidence-based information and hoping that will encourage people to change their minds. How do people process changing an idea or updating knowledge? How do we approach misinformation and myths? There are many articles about pet food myths; unfortunately, every time we repeat a myth, we make it more familiar, which can actually strengthen it. A better approach is to focus clearly on the facts and keep repeating them to the owner. The complexity of scientific information can be daunting for some owners. Claiming a dog should be fed like its wolf ancestor is cognitively easier and more attractive for many owners than an explanation of the genetic changes in metabolism which have occurred over the centuries. Information that is succinct and easy to read and process is more likely to be accepted as true. Pictures or graphics are often more impactful and easier to understand than words (Figure 1). The Pet Food Manufacturers’ Association (PFMA) and the European Pet Food Industry Association (FEDIAF) both provide straightforward and evidence-based information on their websites and the World Small Animal Veterinary Association Global Nutrition Committee has a toolkit which provides FAQs on small animal nutrition. Another factor in decision making is cognitive bias – the process of selectively seeking or agreeing with information which supports a world view and ignoring or refuting without evidence opposing ideas. When people are presented with a balanced set of facts, they gravitate towards those which reinforce their pre-existing views. This is especially true of people with strongly held views. Often, these people will not change their minds even when presented with incontrovertible evidence. Nutrition also seems to have its fair share of fake experts. Nutritionist is not a protected term, so anyone may use it (although they cannot claim to be a diplomate of the European College of Veterinary Comparative Nutrition or the American College of Veterinary Nutrition). Fake experts purport to have expertise but their views are inconsistent with evidence and established knowledge. They may also denigrate established researchers and experts. In nutrition, this often takes the form of implying or saying that trained nutritionists are influenced by rewards from large pet food companies in making their recommendations. 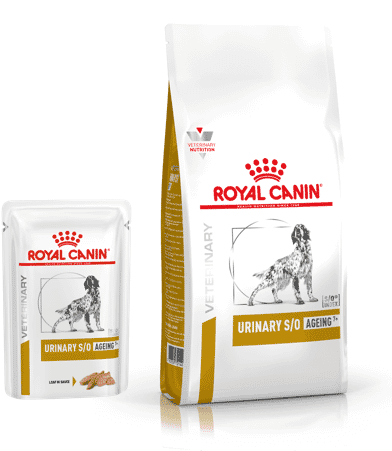 Large pet food companies do support much of their own and university research; however, at universities they usually do not have control of the results or publications. Some fake experts may have a financial stake, eg they may be employed by a boutique pet food company supporting a brand marketed on misinformation. Some like to be seen as mavericks bravely taking on large corporations. For those people with strongly fixed views, there may not be much chance of a meaningful discussion. The people you are most likely to reach with good information are the undecided majority rather than the unswayable minority. It helps to find a common ground with clients, which is easily done as you both have their pet’s well-being uppermost. Sometimes just asking if an owner would be interested in trying another diet is effective. If possible, frame the information in a way which fits the owner’s world view. For example, the use of by-products or meat derivatives in pet food is a sustainable use of these ingredients as well as providing good protein sources. If not used in pet foods, by-products may be disposed of in landfills or incinerated; both these methods increase the potential for contamination of land and water. When a person has a belief based on myth or misinformation, they build a mental model using that myth. If the myth is debunked, it leaves an incomplete model which requires an alternative explanation. Explain why a myth is incorrect – it may have been cherry-picked or misrepresented information, an anecdote instead of evidence or an association which is not causation. If owners are feeding a diet which is incomplete, unbalanced or otherwise potentially damaging, providing information, especially written information and comments included in your clinic notes, is still a good idea. Again, the PFMA and FEDIAF factsheets can be helpful as client handouts. If things go wrong in the future, it is a good idea to be able to prove that you provided advice. This is also a welfare issue as the Animal Welfare Act of 2006 includes “the need for a suitable diet”. Facts rather than myths should usually be presented, and repeated. If a myth is stated, there should be a large warning before the myth that it is untrue. An alternative, correct, explanation or information should be presented, including if possible why the myth is wrong. Include the diet history and your recommendations in your clinic notes. Written information in straightforward language, possibly with pictures, should be provided for owners, as it is easy to forget or only partially recall information only provided orally. Marge Chandler, DVM, MS, MANZCVS, DACVN, DACVIM, MRCVS, is a Clinical Nutritionist at Vets Now Referrals (Glasgow) and a private consultant in small animal medicine and nutrition. She is a diplomate of the American College of Veterinary Nutrition and of the American College of Veterinary Internal Medicine (Small Animal Medicine).